Press contact: Stefan Engeseth. Email Stefan. 鯊魚經濟學》：把弱點外包，是IKEA維持優勢的秘訣 / Outsourcing weaknesses is the secret of IKEA’s advantage. The News Lens (Google translation). (2018/11/01). 《鯊魚經濟學》：如何「一口接一口」地攻擊蘋果？/ How to attack Apple in one bite?. The News Lens (Google translation). (2018/11/01). 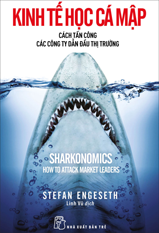 A radio Sharkonomics interview on Broadcast Corporation of China (16/12/2017). Stay On Top of Work With Stefan Engeseth! [PODCAST EPISODE #4]. Timecamp by Kate Kurzawska (January 11, 2018). Now is not the time to be fat and happy. Finnish construction magazine Talotekniikka-lehti by Minna Kärkkäinen (1/11/2017). Microsoft, IBM and Google attacking the housing construction segment (pdf) Finnish construction magazine Locus by Pekka Virolainen (1/2017). Bank Innovation: Let the customers in again or – or die. The Swedish Business Week / Veckans Affärer by Karl-Johan Byttner. (Week 43, October 27, 2016). Interview with our Stefan and other future business thinkers. Chines magazine Modern Weekly. 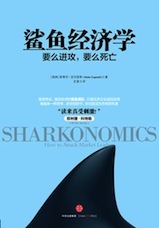 Sharkonomics Chines article (17 September 2016), issue 926. 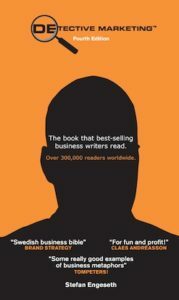 Book review: The rise of advertising and PR (reklame + PR = sant). By Stian Lyberg, PR-operatørene (24 June 2016). Podcast: How Construction Will be Disrupted – Interview with Stefan Engeseth. By Aarni Heiskanen, AEC Business (20 June 2016). Swedish expert reveals how Google and Microsoft are about to pounce on this huge traditional industry. By Karl-Johan Byttner, BusinessInsider.com (30 May 2016). “People always think I’m crazy. And then it happens.” Quoting Stefan Engeseth in an interview by Michelle Higgin in Flare Magazine (September, 2015). 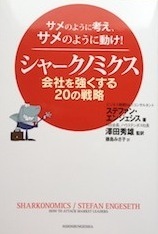 Article in PDF. Is IKEA coming out of the closet? Sample of press clipps. Would you buy flat-pack clothing from Ikea? Business expert predicts future where shoppers pick out clothes from the Swedish store to build at home. Daily Mail, article by Caroline Mcguire. 16 November 2014. Could Ikea-style ‘flatpack clothes’ be the future of fashion? The Guardian, article by Nathalie Olah. 3 November 2014. Could Ikea Move Into Fashion? Style.com Article by Justin Sullivan. 27 October 2014. Press release: Ikea will move into fashion next, predicts Swedish author Stefan Engeseth. 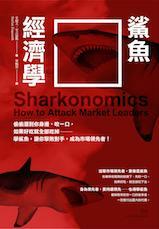 ’Sharkonomics’ makes debut in Japan. Swedishwire.com Article by Johan Nylander. 27 January 2014. Finnish business press: Print & Media, nr 6, 2013. Finnish business press: Otava Media in page 8 (or as pdf). Article by Heini Santos. 2013. 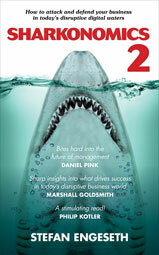 Radio New Zealand, Why we buy into invisible threats (Sharkonomics). Bite me. NZ Marketing Magazine. 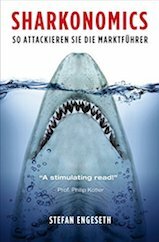 Swedish marketing mind tells brands to adopt ’Sharkonomics’. B&T Australia. Adage.com: Why Sweden Is Teeming With Ad Talent. ”Sell tomorrow today (innovation idea for Google)” at BizSugar.com. Posted by Martin Lindeskog. Here are some press clips and blogs from around the world. Print magazines are also writing about Stefan’s books. USA. New Zeeland. Brazil 1, 2. Mexico 1, 2. India. Italy. Spain 1, 2, 3, 4. UK. Austria. Finland. Russia. Sweden 1, 2. Three press pages about ONE in the biggest business magazine in Belgium: Trends. Reporter Sjoukje Smedt did write this good article in Nederland’s langue, download for free here (PDF). ”Consumers fine-tune companies” and ”If you listen, they will come….” in Czech Business. Two pages about ONE in Brand Strategy (PDF). Press clips from ONE lecture in India.